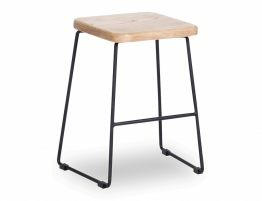 The Tower steel and wood barstool offers a balanced modern look for your interiors. 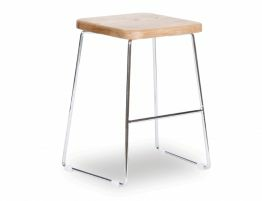 Update your current stools with these backless modern counter stools. 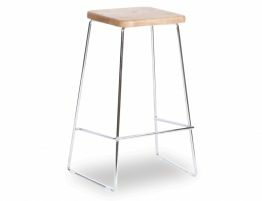 With a chrome frame and a seat made from natural American ash, these modern barstools are at once both natural and modern. 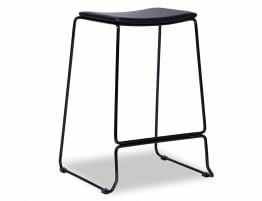 Because they are backless, these minimalist counter stools fit nicely beneath counters for a clean and well organized look. 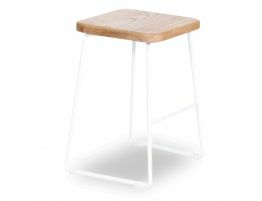 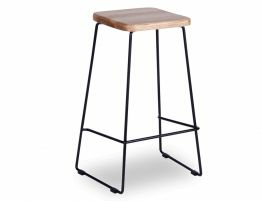 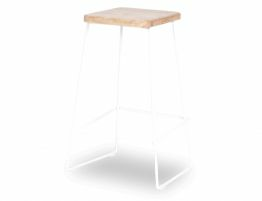 The Tower timber bar stool’s solid steel frame gives this barstool lasting strength and ultimate stability.